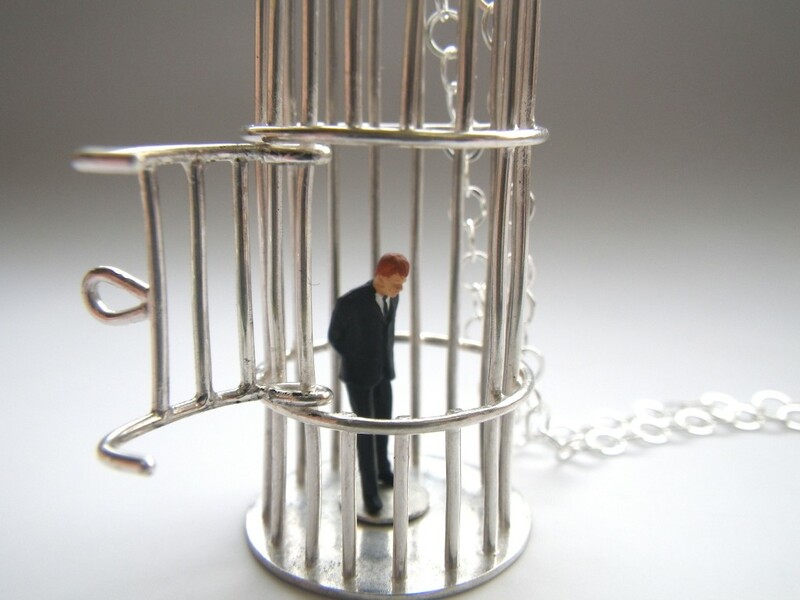 Made in early 2012, after the occupy movements and at the beginning of the student strike in Québec, we decided to make a simple and unsubtle piece of jewellery expressing a certain frustration with the times. 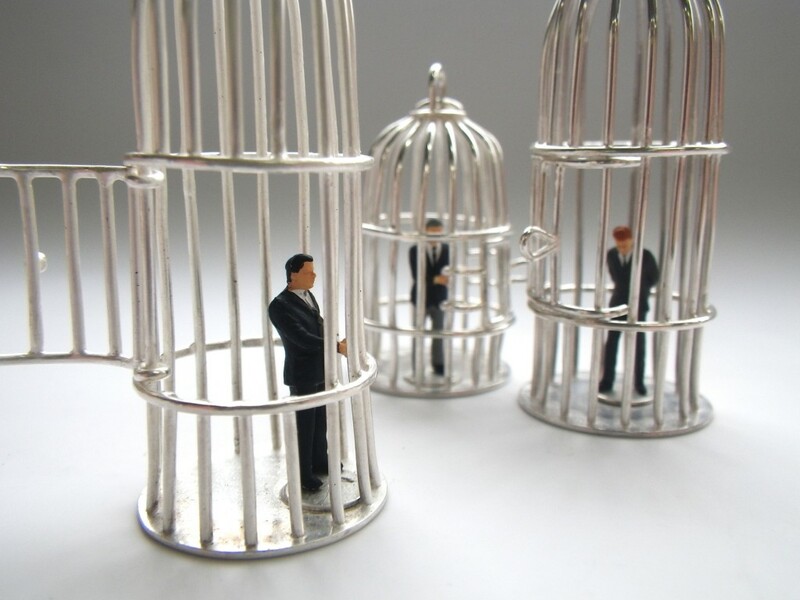 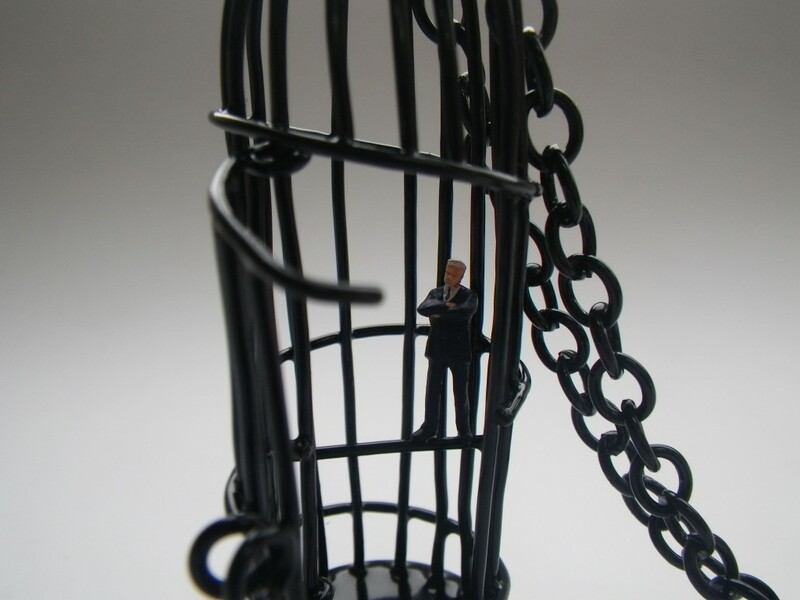 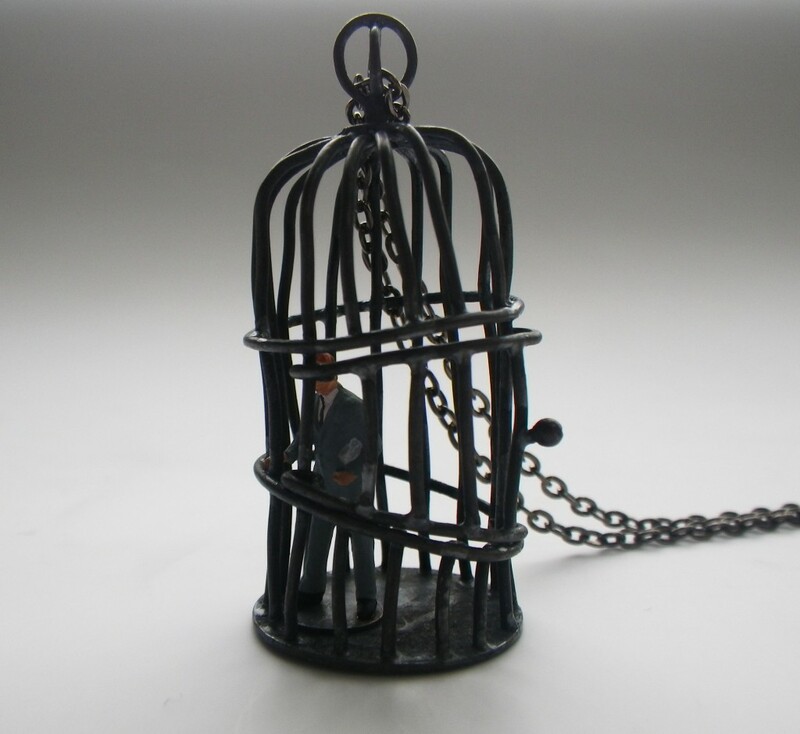 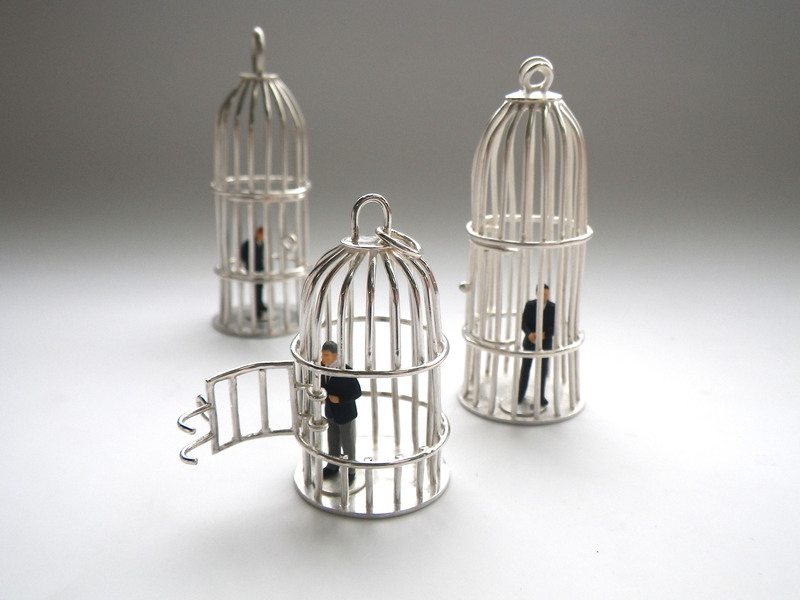 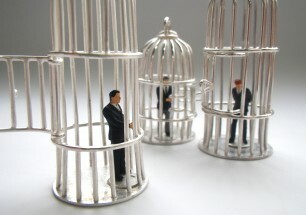 Our cage pendants are mini bird cages with small business men (or bankers) inside. 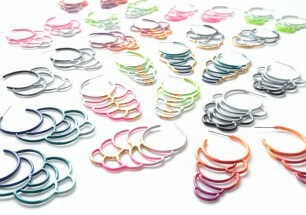 There are two sets, one in powdercoated copper and one in sterling silver. 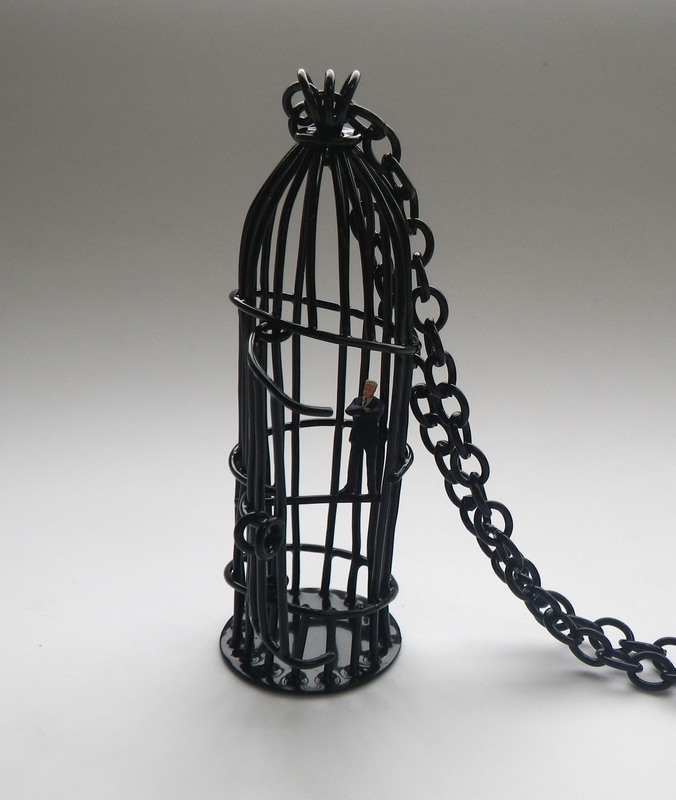 The black copper cages are intentionally wonky while the silver cages have clean lines and brushed finishes. 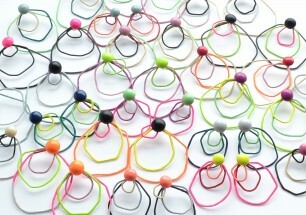 They all have fully functioning doors and are on a long chain with handmade clasp. 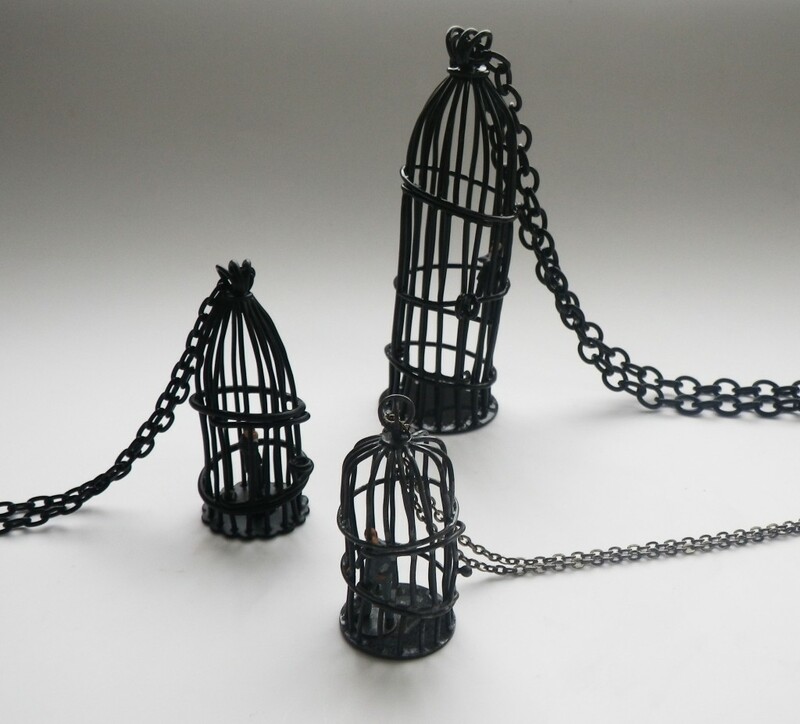 Certain of these pendants are available for purchase online.